If you're wondering where I've been, let me tell you: I've been busy uploading this beast of a song for the last month of so. Well, not really, but you get what I'm saying. Only about 15 seconds short of being the longest song ever featured on Robosexual, this stoner-rock/psychedelia freakout is one of two 20-minute-plus instrumentals on Earthless' excellent album. It's a little daunting, but the music is just too awesome for you to be worrying about song lengths. These guys (based in San Diego, I believe) have obviously got this whole psych-rock thing figured out. The mixing is great, and the drums and bass compete at just the right level with the ever-present guitar, which is apparently being wielded by some sort of musical Lance Armstrong who's able to maintain a level of solo intensity for 20 minutes that most bands only attempt for 30 seconds at a time. Don't worry, I know what you're thinking. I thought it too. "This sounds a little exhausting. Don't you get tired of it after 7 or 8 minutes?" The answer is, well, no. I thought I would, but the hits keep coming and the songs keep mutating enough to hold your attention and in fact make you want more. "Godspeed" is like what would happen if you spiked Van Halen's pre-show snack with crystal meth. The guitar is chunky and hairy and the riffs are epic and dated. "Sonic Prayer" is more of a suite, complete with a drum-only section that reminds me of Psychic Ills' "I Knew My Name," complete with a total blowout at the end. I'm not going to kid around here and say this is for everybody. But you should listen to this song all the way through once before deciding you're too weak for this sauce. This is one of the standout albums of this year along with the Psychic Paramount's release, and you need it in order to know the state of the rocking out union. Here's "Sonic Prayer" by Earthless. Careful, it's 33 megabytes. A great tripping experience indeed! I need you to come and write for me. Puleeze?! Hey- though you might enjoy this. Please take a chance to listen and let me know if you would be intrested in reviewing it! The answer is, well, no. I thought I would, but the hits keep coming and the songs keep mutating enough to hold your attention and in fact make you want more. A large grouping in my opinion, very different styles between Sammy and David Lee but for both there was a great moment all this and supporting Halen made magic among the musicians of the moment, hopefully and we again gathered to see this band. 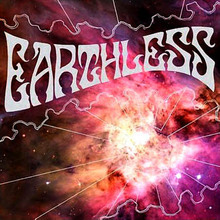 Earthless rock man..!Earthless is an instrumental psychedelic rock band from San Diego, California consisting of guitarist Isaiah Mitchell, bassist Mike Eginton, and drummer Mario Rubalcaba. The band formed in 2001 and released their first album Sonic Prayer through Gravity Records in 2005. A 10" single entitled Sonic Prayer Jam was released the same year on the San Diego label Gravity Records. Their second album Rhythms from a Cosmic Sky was released in 2007 through Tee Pee Records. Can you uploadt this song in your blog? Hey ... I had to stop at this site to say that this incredibly informed about one of the sweetest instruments and subtlety of the music as the guitar, just amazing, thanks for improving my life with this information, because as they say around ... . never stop learning to play guitar. I really like this post, the part that explains something about the bathroom is great, I love this kind of post, I'd like to receive updates of this article, because I love it!! I think, no matter how scared we might be, how much pain and trouble and financial distress we as Americans are experiencing, life or death for us in the developed world seldom comes down to the difference of twenty cents. Vi è una ricca storia di innovazione tecnologica e glamour-avventura che ha reso famoso orologio. Ultrasoft cleaning cloth with AEGIS microbe shield cleans Beats and controls germs. The invention reytr6y is a big change of the world.